Many people who are eating Keto, or even just a low-carb way of eating in general, can have difficulty with random cravings for french fries. Maybe it is the smell as you drive past a fast food restaurant, or just the general consensus that french fries taste good. That’s where these Keto Low Carb Jicama Fries come to the rescue. This recipe is really so simple, but it just takes time to make them properly…trust me, it’s worth the wait. You could dramatically speed up the cooking time if you happen to have a deep frier, and I have also had luck shaving about 10 minutes off of the baking time in my air fryer too. 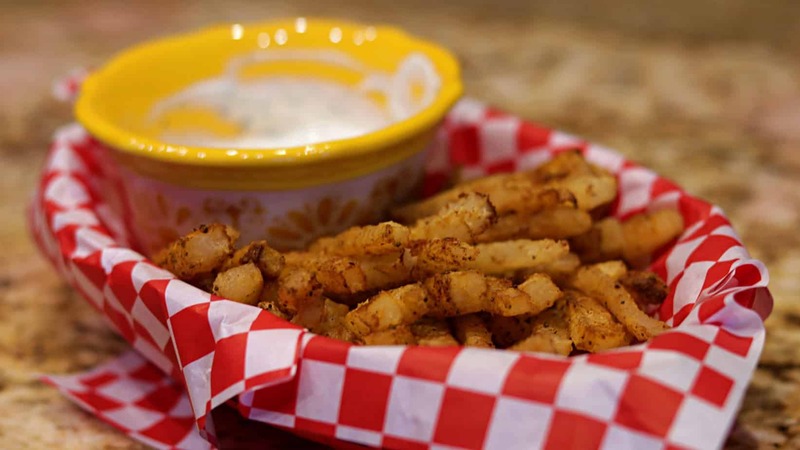 There are really a few different ways of making these Jicama Fries that it makes them versatile enough for many people to be able to make and enjoy them. 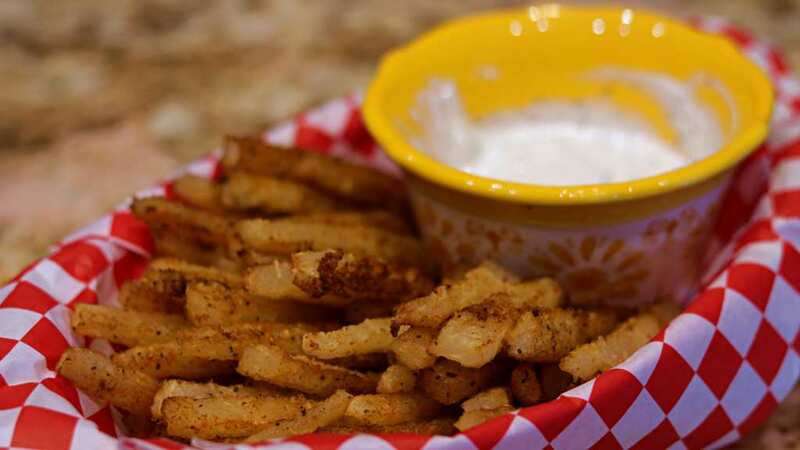 There are two main seasonings that I like to dust my Jicama Fries with, the first is Old Bay which is very easy to come by and available at most grocery stores. The other seasoning I also like to use sometimes is called Gatorbreath, but I have only found that at one local country store near my house so far. You can pick that one up on Amazon though, and it makes a phenomenal Steak Seasoning for Ribeyes and T-Bones. 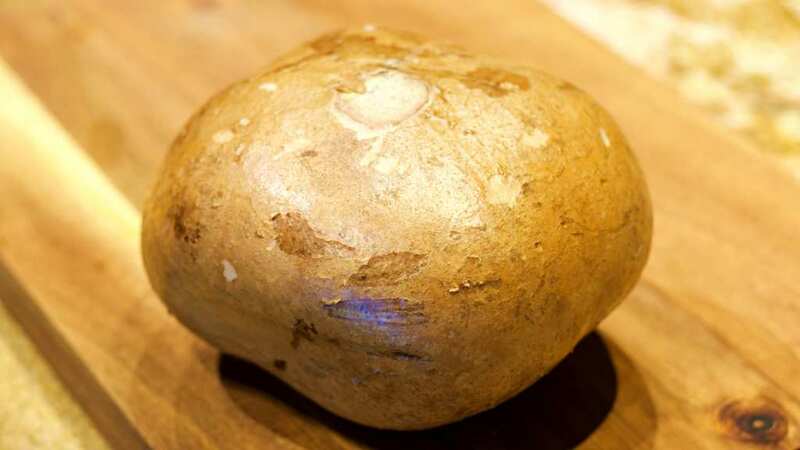 The Jicama plant is really an uninspiring looking vegetable, much like how a boring old potato would look, though much much bigger. The Jicama can also be a little tricky to cut, so I recommend a VERY sharp knife. Be careful when cutting it too, because until you get it cut in half it always seems to put up a little fight. I also don’t generally recommend using a vegetable peeler on the outer skin, since it is very fibrous and that makes it harder to peel. Just cut the outer edges off carefully with your knife instead. The center of the Jicama is not as stringy and fibrous as the outer part, and is much more manageable to work with (like a raw potato). Fill a Large Stock Pot or Dutch Oven about half way with water and place on the stove on High Heat to begin to bring to a boil. You can optionally season the water with some Pink Himalayan Salt if you would like. In the meantime take a large and sharp knife and CAREFULLY slice up your Jicama into strips that are roughly 1/4 Inch thick. They can be thicker if you want, but the thinner you make them the more they will resemble the texture of French Fries when they are cooked. When the water has reached a boil place the sliced Jicama Fries into the boiling water and boil for 10-20 minutes. Some people will say 10 minutes, I say 20 minutes. You should be aware though, that they will not get fork tender like a potato will, so do not cook them with that expectation. Once the fries have boiled the allotted amount of time, take them out of the boiling water and toss them in a bowl with your favorite seasoning. If you like your fries crispier I would also toss them in some Avocado Oil. If you like your Jicama Fries less crispy I would use an Avocado Oil spray to lightly coat them. Take a Large Baking Sheet and cover it in Aluminum Foil (to make cleanup much simpler later on). And then place a baking rack on top of the Large Baking Sheet. If you do not have a Baking Rack, you will need to turn the fries half way through the baking process, so this not only makes them cook crisper but also simplifies the cooking process for you. Bake in the oven at 425*F for about 40 minutes, or until they have reached the desired crispiness that you like. For some people this will take more or less time. When they are cooked, take them out of the oven and plate them. Mix about 1/4 Cup of Sour Cream with a pinch of Dill, a pinch of Chives, and a dash of Garlic Powder and stir. This will have a flavor similar to a Sour Cream and Onion Potato Chip. 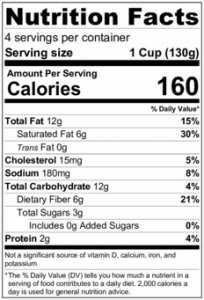 Where can I find the Jicama ? A lot of grocery stores sell it in the produce department. I have a deep fryer. So to determine the done-ness of these, would they be the same consistency of potato fries in softness on the inside? You mentioned cooking them less time in deep fryer, so about 30 mins in deep fryer insted of 40 mins in the oven? I baked half of mine and air fried the other half. It took minutes to get them right in the air fryer. I suppose that it would be about the same for deep frying (I did mine for 25 mins). I’ll be trying deep frying next time I make them since I don’t like them these ways. If frying in oil would I still need to boil them first?